In our last post we showed you how you can set up a GitLab instance to manage your organization’s or your personal projects. We recommended you to use an FQDN and have the GitLab instance available over HTTPS. Since most applications are packaged as containers, it reasonable to set up a container registry where different versions of your application, as well as it’s different components can be stored as Docker images. If you don’t know what a container registry is, don’t worry. It will become clear once you actually push your first container image into a GitLab instance. For now, think of them as repositories for your container images. These are not running containers but just images (plain data) sitting in the remote GitLab instance. Why would you want a GitLab container registry? Chances are that your application is packaged either as a single Docker image or a collection of such images. This means different versions will be associated with different images and container registry will help you keep track of them individually as well as see which ones are to be bundled together in a particular release. Registry is to containers, what repository is to source code and GitLab is one place to handle them all. We are going to assume our GitLab is running on gitlab.example.com . Reuse the existing domain name and TLS certificates for gitlab.example.com and run the registry on a different port. 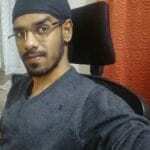 Point another domain name, let’s say, registry.gitlab.example.com to the same IP address where GitLab is running and configure the registry there. Let’s go with the second option as it is much more professional. Step 1: Add an A record for registry.gitlab.example.com pointing to the same IP where your GitLab instance is running. Step 2: Stop the gitlab services running in your server. Step 3: Add ACME client certbot’s PPA to your system and install certbot. Step 4: Obtain certificates from Let’s Encrypt. Step 5: Now that we have our certs, it’s time to place them under GitLab related directories. Like the rest of the tutorial, make sure that you replace example.com with your existing domain name. Since that’s what the name of the directory is going to be, where certbot has stored the certificate. Now that we have to ourselves a Container Registry, let’s create a new project using the GitLab web UI and verify that it works. On the left-hand column you can see a Registry section. You can click on it to see detailed instructions on how to login and push images into it. Let’s go back to our local desktop, which should have Docker installed on it. $ docker build -t registry.gitlab.example.com/<username>/my-project . Remember to substitute your GitLab username instead of the <username> placeholder used in the above command. It just creates a Ubuntu container along with fetching the image. This image is what gets pushed. If you modify the container and create a new image with it (using docker commit command it will be a new image ). Let’s push the vanilla ubuntu image to our registry. 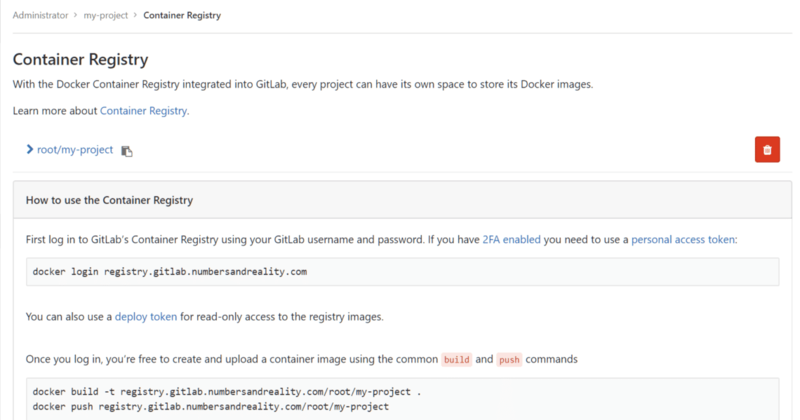 $ docker build -t registry.gitlab.example.com/root/my-project . Version control is so much more than just source code management. It is constantly improving to accommodate a versatile array of demands that any software project may need unexpectedly. Container registry is just the tip of the iceberg. 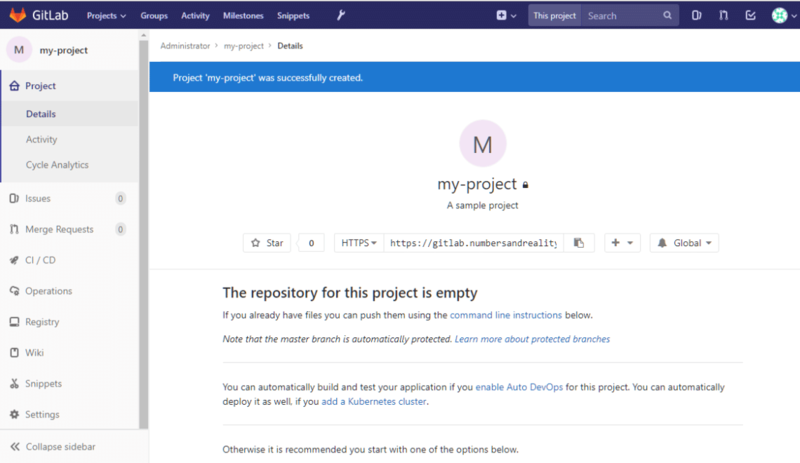 You can have CD/CI pipelines, advanced configuration management, authorization via tokens and a multitude of other functionalities enabled in GitLab. Hope you learned something new about this wonderful technology in this tutorial. Let us know if there’s something that you want us to cover!